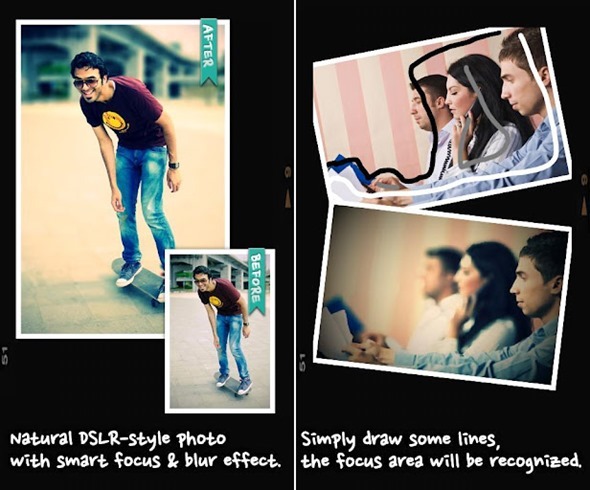 AfterFocus For Android Lets You Add DSLR-esque Focus Effects To Images – Download Now! With the recent Facebook acquisition of Instagram, and the app having just been ported to Android – and enjoying over a million first-day downloads in the process – the market for photo-manipulation apps is undoubtedly at an all-time high. While not everybody is convinced by Instagram’s photo-editing credentials, there are plenty of alternatives offering a vast array of features enabling the most beautiful snaps to be made out of the most seemingly bland, boring, inanimate objects. Without meaning to harp on about Instagram, one of the its most popular effects (since it can make an amateur shot look somewhat professional) is the focus. While many overtly don’t appear to have a clue how, where, and when to use focus properly, MotionOne offers a well-rounded, feature abundant app for those who do. 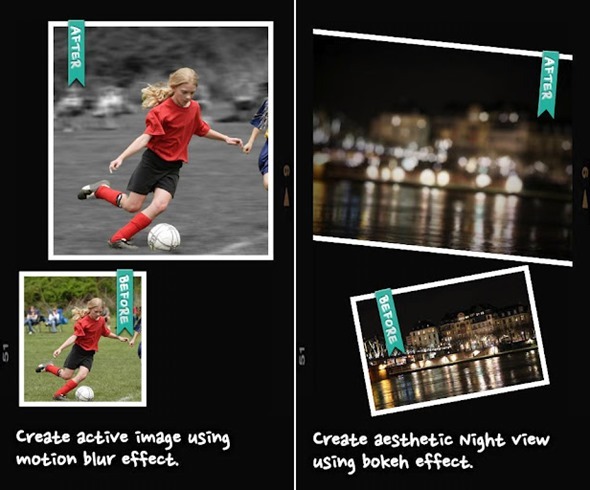 AfterFocus allows you to create a DSLR-style blurred-background photo. All you need to do is select the focus area, add a few cool filter effects, and you’re well on your way to creating a beautiful, natural-looking piece. The app includes what it describes as smart focus area selection, which, simply put, means once you draw some lines within a focus area and the background, the app will automatically recognize the focus area. The more precise and intricate you are with the focus position, the more professional the final image will look. As you would expect, it’s pretty easy to share your creations with friends, family, colleagues and associates. Seldom does an image-related app arrive without some form of social plugin, and AfterFocus is no exception to the rule. Although the app is indeed free, there’s also a pro version which offers a special double photo feature. Basically, it enables you to take a snap of one object, move the lens a fraction to one side, and take another shot of the same object. The app will subsequently analyze the images, recognizing the nearest object and thus preventing the need for you to draw the focus area in manually.This is the very first iteration (v 1.0.0), and in order to run it, you’ll need to be on Android 2.1 or higher.